Can the company come back from previous failed acquisitions? In an interview with CNBC, HP's head Meg Whitman said that the company is on the look out for "smaller" acquisitions. The company is hoping to improve its fortunes after a 12 per cent dive in shares on Thursday as investors worried about thinning margins. 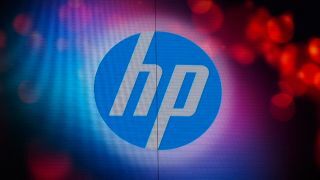 HP wants to make smaller and smarter purchases after some very public and recent flops, such as Palm, EDS and Autonomy. The latter was dramatically over valued, forcing HP to write it off as 'accounting irregularities'. "We don't need a five or six billion dollar acquisition. I think there are acquisitions in the $100 million, $300 million range, maybe some up to 1 to $1.5 billion that we might be interested in." "We're the only company that can go from devices to infrastructure to services to software and this is a huge point of difference, there's a lot to be said for HP today and we aim to prove that." In an interview with TechRadar earlier this year, Alberto Torres, Head of Mobility at HP, was clear that company has designs on the smartphone arena, hoping to "lead in smartphones". You can read the full interview here.